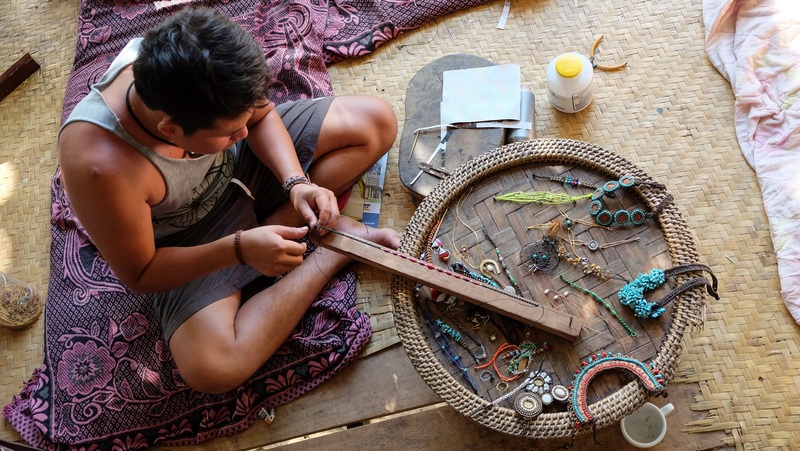 Learn to craft handmade paper jewellery with a Lao artisan, in a relaxed village overlooking the peaceful river. 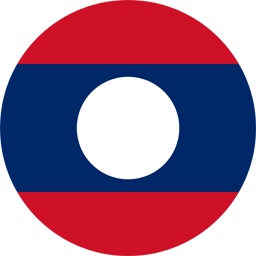 As you different weaving techniques and materials to create 3 pieces of jewellery, you will get a local insight into the art and culture of Luang Prabang. Noticing the lack of environmental awareness amongst his community, our local artisan and his team decided to collect magazines and other materials to create handmade paper jewellery. Apart from recycled paper, he also uses beads and gemstones laced together with traditional Lao silk and wirework. In this workshop, you will learn how to use different weaving techniques to create delicate and elaborate jewellery, and bring them home! Experience the art of jewellery making using beads, gemstones, recycled paper, wirework and traditional Lao silk. You will first choose 3 pieces of jewellery you would like to make, such as a necklace, bracelet and anklet. The local artisan will show you the various artistic techniques to create unique jewellery you can call your own. The setting of the workshop overlooks the beautiful river, so you can take in the idyllic scenery and munch on an assortment of local snacks. At the end of the workshop, you get to bring your homemade masterpieces and skills home.